Surgical Dermatology - Advanced Skin and MOHS Surgery Center, S.C. Some Dermatologic conditions require minor/minimally invasive procedures for diagnostic or aesthetic reasons. 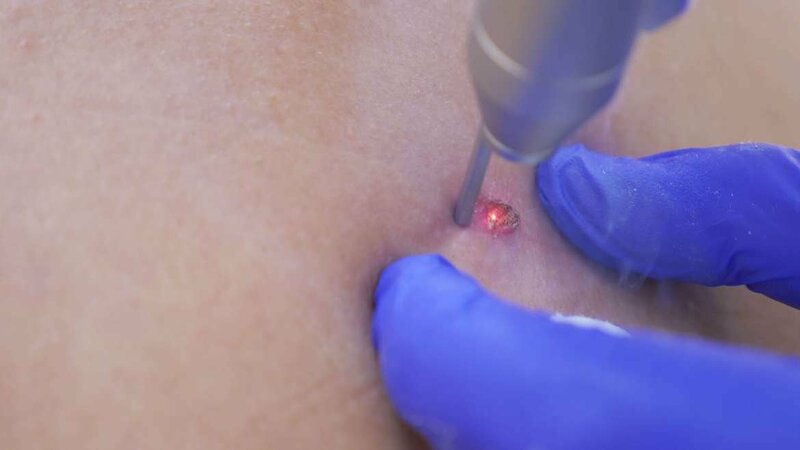 However, with more serious conditions such as skin cancer, Advanced skin and MOHS Surgery Center can diagnosis and treat with the most advanced techniques in the field. Dr Brown is a board certified, fellowship-trained Mohs Surgeon who has decades of experience utilizing micrographic surgery. The aim is to eliminate the cancer while minimizing the removal of skin tissue. Whether the condition requires a minimally invasive procedure or Mohs surgery, Advanced Skin and MOHS Surgery Center offers full service care in a state of the art facility. Call us (see our location closest to you) or schedule an appointment online today.